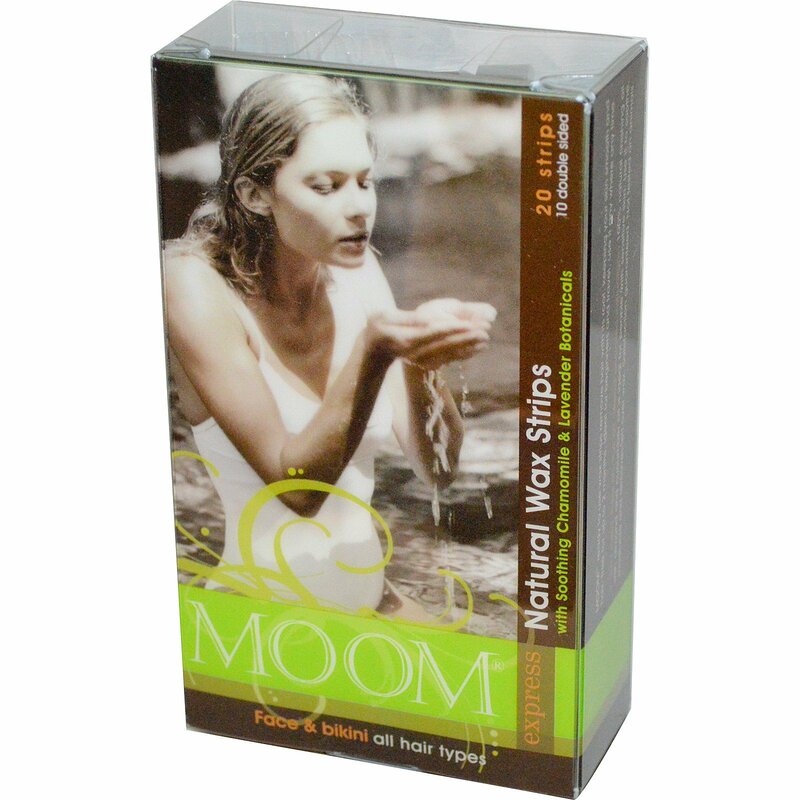 Moom ready to use wax strips remove hair with its root, keeping your skin smooth and hair-free for up to 2 months. Ideal for beginners and travel, use it any where any time. 100% natural finishing oil with almond and cucumber oil is ideal for people with sensitive skin. Use it to soothe, moisturize and removes left over wax. Satisfaction guaranteed. Not tested on animals. 2 easy steps: Press on, Pull off. Glyceryl rosinate, elaeis guineensis (palm ) oil, cera alba (beeswax), chamomilla recutita extract, caprylic/capric triglyceride, helianthus annuus seed (sunflower) oil, lavandula angustifolia (lavender) extract, pentaerythrityl tetra-di-t-butyl hydroxyhydrocinnamate.